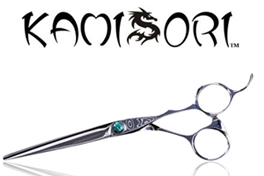 This "Best of the Best" list represents the top picks from the world-class scissor manufacturer - Kamisori. 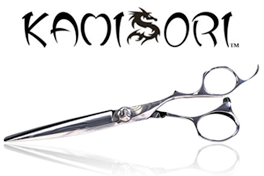 Kamisori shears are used by top Hollywood Hairdressers and are renowned to be some of the best shears in the world. 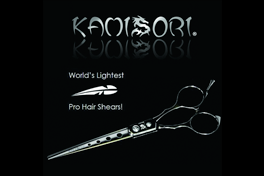 In fact, Kamisori Shears were voted "Best Shear Brand" 2 years in a row by American Salon. Known for the sharpest blades with the longest durability, each pair is handcrafted from the finest Japanese steel to produce a finished product that is a pure work of art! The Kamisori Emerald Shears- Damascus Collection borrows its sharp edge from Damascus Steel which was used in Japan to manufacture the famous Samurai sword. An adjustable Ring size matched with a Semi-Offset Handle makes cutting effortless and fatigue-free. After passing through 93 rigorous tests, it can be nothing but the best. 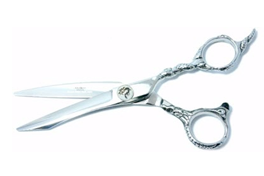 This beautifully crafted is an astonishing 6 Star Rated Shear! This handmade tool is designed to reduce exhaustion and enhance performance. Kamisori uses ATS-314 Japanese Cobalt steel in the model. The shear gives you the convenience of adjustable ring size and offset handle. Specialties include blunt, point, and slice cutting with an incredible 62 Rockwell Steel hardness rating. Prepare to be amazed! 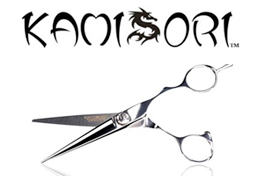 Kamisori Smoke Shears- Damascus Collection is crafted out of traditional super sharp Damascus Steel and is a fantastic product for the expert hairstylist. Hairstylists agree that it is a 7 star item ergonomically designed for effortless slashing of wet or dry hair. The Paladin is another fine instrument guaranteed to last through a lifetime of use. Designed specifically for blunt, point, dry and wet cutting at high speeds, this superb tool is reliable for precision styling of a variety of tasks. The Paladin is among the original Kamisori scissors crafted from the finest Japanese V-10 Cobalt steel along with a 61 Rockwell Hardness rating. 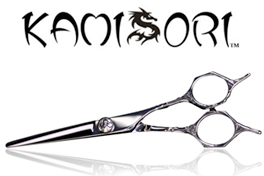 The Feather is the latest premium scissor from Kamisori and part of the Dragon Collection. Ergonomically forged for precision and performance, this premium option imported from Japan and crafted with the finest Japanese Steel! 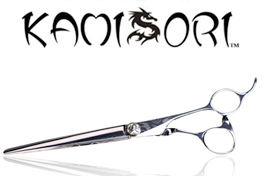 Our most popular line of shears are the Kamisori Black Diamond lines. This particular set of shears is a great investment. 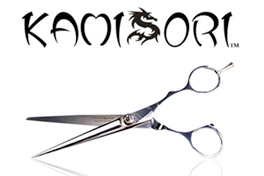 The Kamisori Ryu Shears is a high performing scissor made for high cutting speed and precision. Rated a high 5 stars, the Ryu comes in 5.5” and 6.0” length. The fantastic blade is hand crafted and made with the high quality molybdenum steel. 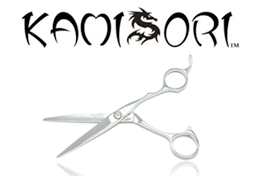 Kamisori Teuton Shears are perfectly designed to offer you an unparalleled cutting experience. Shears are hand crafted and passed through a strict inspection process to provide you supreme perfection. 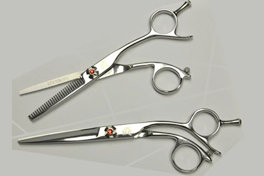 Theses beautifully crafted shears enable you to work continuously without hand fatigue.